The Drum Machine is a unique audio visual experience which provides up to six users a chance to jam in time together to create an unexpected live improvised electronic composition. This video captures the unique audio visual experience. Mini music maker, a photo by Alicestronaut on Flickr. 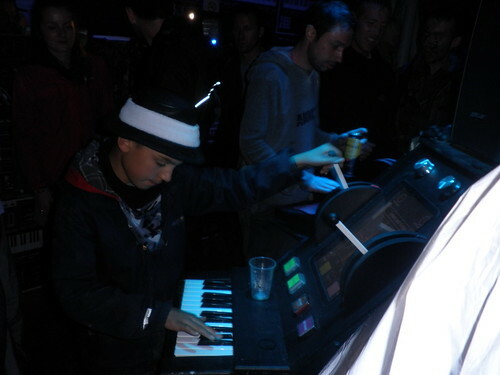 Our favourite customer at Glastonbury 2011. Thanks to Alice for posting this in her Flickr photos!